We all know that straight, white teeth look great. Everybody likes to be able to smile and having a nice smile can help our confidence as well as our appearance. Here at Shannon Orhtodontics we provide expert orthodontic treatment and adivce in a relaxed and comfortable environment. Our modern clinic is located at 15 Castlemaine St, Athlone and Waterfront Dental Centre, Longford. We would be delighted to discuss any concerns that you have about your teeth and to make a treatment plan that is best suited to you. When you are considering orthodontic treatment for yourself or your child please ensure that the treatment is provided by a specialist orthodontist. A dentist cannot call themselves a specialist or an orthodontist unless they have their qualifications registered with the Dental Council of Ireland. This ensures that the person providing the treatment has completed the necessary years of specialist training in orthodontics and complies with EU and Irish legislation for specialist registration. B.A., B.Dent.Sc., M.Dent.Ch.MFD RCSI, M.Orth. Dr Jarlath Durkan graduated in dentistry from the Trinity College Dublin in May 1998. He then worked in Our Lady’s Hospital Crumlin and the Dublin Dental Hospital and completed the Membership of the Faculty of Dentistry in the Royal College of Surgeons in 2000. After working in private practice he started a masters programme in orthodontics in 2001 based in Trinity College and recieved a Masters in Dental Surgery in 2004. He also is a member in Orthodontics of The Royal College of Surgeons in Edinburgh. Lorraine Carroll started work with us in January 2011. Lorraine began work in general practice in Galway and completed a Certificate in Dental Nursing in 1994 through the British Dental Nursing Board. She then moved to Dublin and worked for 7 years in specialist practice as nurse and practice manager and completed a Certificate in Dental Radiography with distinction in the Dublin Dental Hospital in 2001. Georgina joined our team in January 2014. She has many years experience as a dental nurse and assistant working in Dublin and locally in Athlone. Her career in dentistry started in 2001 where she worked in general practice, Georgina achieved a Certificate in Dental Nursing from Trinity College Dublin in 2003. In 2015, she completed a certificate in Dental Radiography with distinction from Dublin Dental Hospital. Laura joined Shannon Orthodontics in March 2014. She graduated from Athlone Institute of Technology with a Higher Certificate in Dental Nursing and a degree in Dental Practice Management with Oral Health Promotion in 2014. Laura graduated from Trinity College and The Dublin Dental University Hospital with a Diploma in Orthodontic Therapy in 2016. She continues to work as an Orthodontic Therapist on a full time basis. Michelle Kelly qualified in Dental Nursing and conscious Sedation from the Dublin Dental Hospital and Trinity College in 2001. Michelle worked in the Dublin Dental Hospital for 2 years and afterwards worked for the HSE Orthodontic Unit and in private practice in Dublin. She joined the team at Shannon Orthodontics in 2008 and in 2009 completed a Certificate in Dental Radiography with distinction. 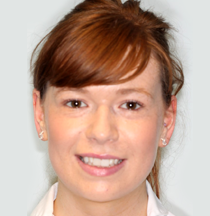 Belinda has started a Diploma course in Orthodontic Therapy based in the Dublin Dental Hospital. She is due to complete the course in September 2019 and will be a great addition to our practice when she is finished.